London 15 November 2018 – Betway Ltd. has gained its ISO 27001 certificate, the worldwide standard for information security, demonstrating the company’s commitment to handling customer data safely and securely. The externally accredited certification has been awarded by trusted international testing agency eCOGRA. 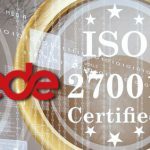 Benefits of being ISO 27001 certified include helping to tighten, improve and secure 3rd party supplier contracts and management, as well as facilitating the process of applying for licences in new territories. Bradley Khoury, eCOGRA Chief Technical Officer and Certified ISO 27001 Lead Auditor, commented: “This certification now places Betway amongst a limited number of online gambling organisations that have achieved this prestigious certification. 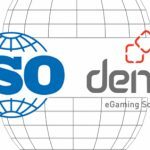 Online gambling regulators are increasingly recognising the value of the ISO 27001 certification, with many jurisdictions waiving certain security auditing requirements if the relevant parties are certified. Betway currently holds licences in Great Britain, Malta, Italy, Denmark, Spain, Belgium, Germany and Ireland. Founded fifteen years ago to establish and improve operational standards and player safety requirements in the online gambling space, eCOGRA has amassed a wealth of experience in implementing international best practice standards and requirements, and ensuring these are maintained through regular review and monitoring. eCOGRA acts as a regulatory audit partner to over 100 multi-jurisdictional operators, software providers and other relevant service providers in the online gambling industry. 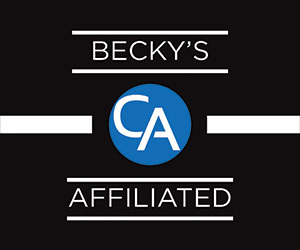 The independent testing laboratory is staffed by a team of professional auditors with Big 4 auditing firm experience, information security experts, test engineers and responsible gambling specialists. The company has been awarded the United Kingdom Accreditation Service (UKAS) ISO approval ISO/IEC 17025:2005 : General Requirements for the competence of testing and calibration laboratories for Great Britain, Sweden and Denmark, as well as ISO/IEC 17021-1:2015, which is a prerequisite for carrying out third-party ISO/IEC 27001 audits and accredited certifications of Information Security Management Systems (ISMS). 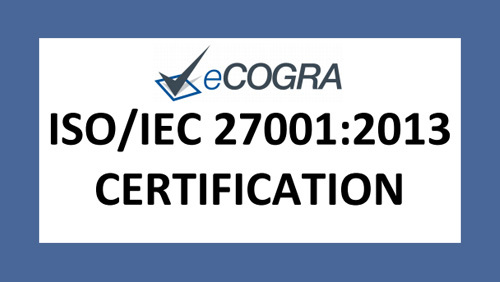 eCOGRA is the only online gambling testing laboratory authorised to offer operators and service providers accredited ISO/IEC 27001 certifications for ISMS, and is an approved testing laboratory with several online gambling jurisdictions. For more information about eCOGRA’s testing and certification services, please visit www.ecogra.org. The Betway Group is a leading provider of first-class entertainment across sports betting, casino, bingo and poker. Launched in 2006, the company operates across a number of regulated online markets and holds licences in the UK, Malta, Italy, Denmark, Spain, Belgium, Germany and Ireland. Based in Malta and Guernsey, with support from London, Isle of Man, Stockholm and Cape Town, the Betway team comprises over 1,000 people. Betway prides itself on providing its customers with a bespoke, fun and informed betting experience, supported by a safe and secure environment. Betway is a member of several prominent industry-related bodies, including ESSA, the Independent Betting Adjudication Service (IBAS) and the Remote Gambling Association (RGA), and is accredited by trusted international testing agency eCOGRA. 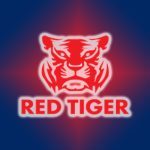 It is also a partner of the Professional Players Federation (PPF) and is a donor to the Responsible Gambling Trust. In addition to the flagship Betway brand, the Betway Group operates a number of other brands including Dream Bingo, Bingo on the Box, Spin Casino and the Hippodrome Online Casino. 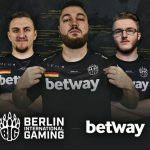 For more information about Betway’s various products and licenced brands, please visit www.betwaygroup.com.